1. Boot up 3ds Max. Start to make a pole for the flag. I have used a cylinder shape for that. 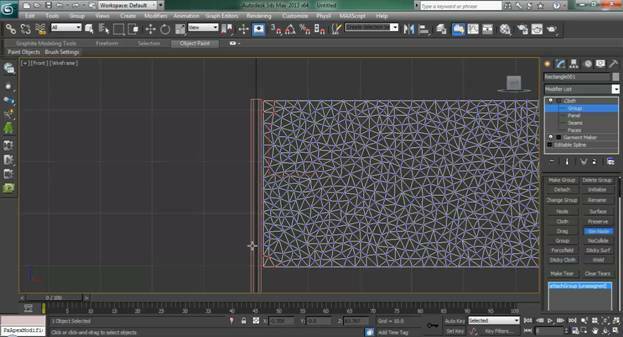 For the cloth, make a rectangle spline (Create > Shapes > Rectangle). Now place them as a flag in real life in the front viewport. 2. 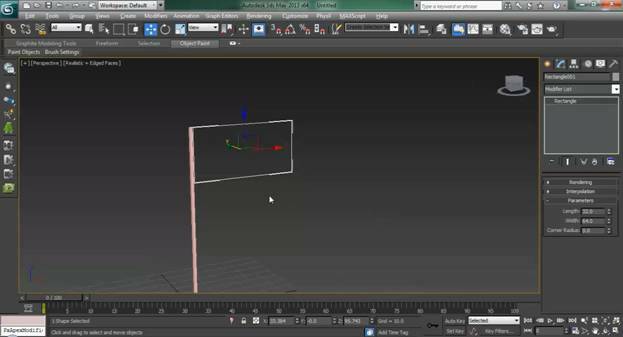 Now convert the rectangle to an editable spline. Go to the vertex sub object level of the spline, select all the four vertexes and click Break. By breaking it, it will be ready for clothing. 3. Now apply Garment Maker modifier on top of the Editable Spline. Change the density to something like 0.4 or 0.5. The more the density in your cloth, the more vertices, and it will be smoother when animated. 4. 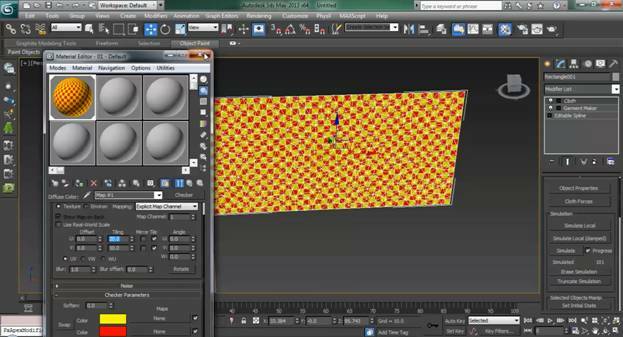 After that, apply a Cloth modifier to the cloth object. Then on the cloth modifier, go to object properties. Click Add Objects and select the pole you have created earlier and hit OK. In the Objects in Simulation, first select the cloth object and choose the cloth radio button. Select the Silk preset for it, which will make the simulation more like a flag. 5. Now select the pole and choose Collision radio button and change its offset to 0.5. 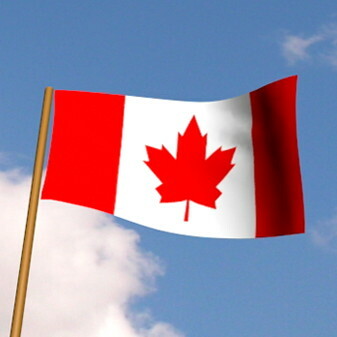 This will make the pole as a collision object for the flag. Now press ok to apply the settings. 6. Go to the group sub object level of the cloth modifier. Select 3 or 4 vertex points where you want the flag to stick with the pole. Then click on Make Group and give any name for the group. After that, with the group selected, click on Sim Node and select the pole. This will stick those vertex points to the pole. 7. Before going to the simulation, we need to add some forces to our world. Create a “gravity” from Create > Space Warps > Forces > Gravity (drag with the mouse). Leave the default strength at 1.0. Then make a “wind” force from Create > Space Warps > Wind. Change the speed (strength) of the wind to 20. Also you can change the wind direction to whatever you want. You can change the direction by rotating the wind object. The arrow on the icon indicates its direction. 8. Now go back to the cloth. Click on the Cloth Forces and add both the gravity and the wind from the Forces in Scene list to the Forces in Simulation. Click OK.
9. Now simply click on Simulate to simulate the cloth animation. You might have to click Erase Simulation first if the animation is already on the timeline (check the animation slider). Remember, the simulation button simulates the cloth and bakes the animation keys into your timeline. But if you want a specific simulation frame rather than the animation, you can use Simulate Local. You can always click on Reset State to get to the state before simulation. 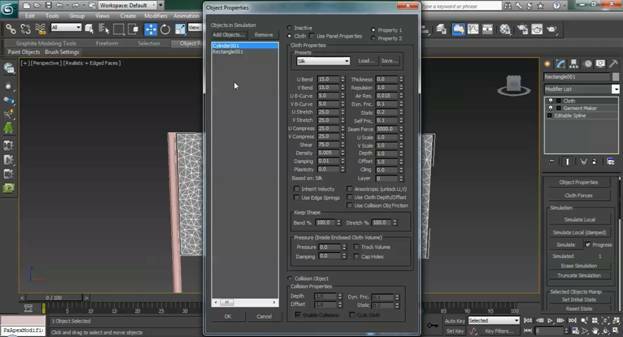 You can also remove the animations of cloth by clicking on Erase Simulation. After creating the animation, test it by clicking Play or moving the Time Slider. 10. You can apply any material / map on a cloth object like you apply on a simple plane. I’ve applied a simple checker pattern map as demo in this tutorial. 11. 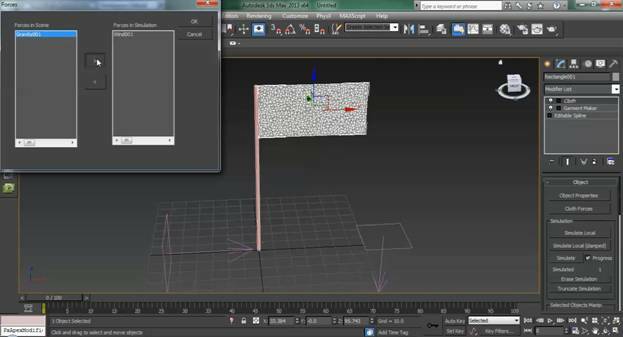 You can create a new material and load a bitmap of your favorite flag or emblem into the Diffuse button. 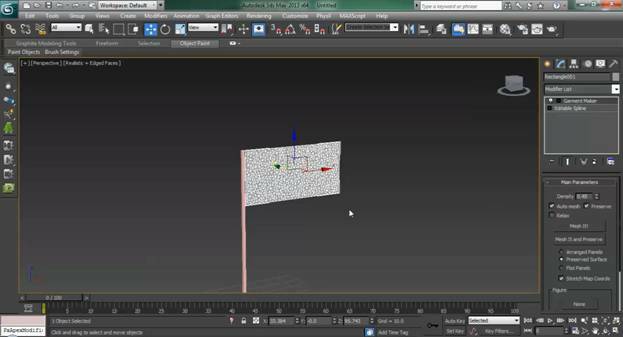 This is what I did with my flag bitmap below in the material slot. Then just drag and drop the material onto the cloth object. 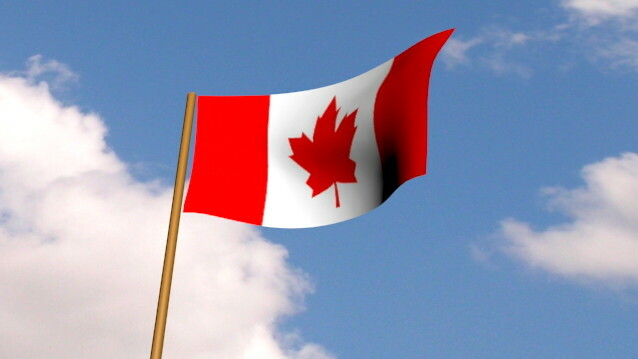 Note: If you apply a bitmap, first you should make the flag Spline as rectangular as the bitmap image. Also, click the “Assign Material Button” and the “Show in Viewport” button if the bitmap does not show. If you need to, apply an Unwrap UVW modifier above the Editable Spline. 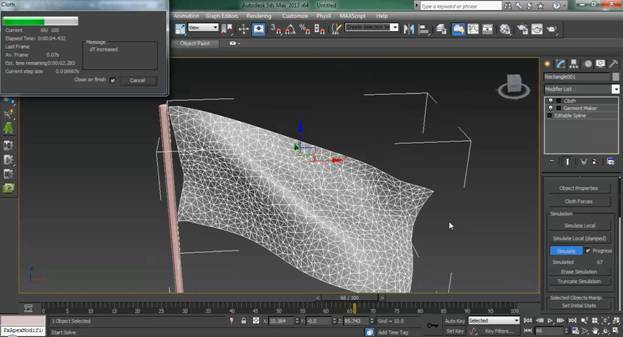 Then apply a material to the flag, load the bitmap into the material slot, then do Planar mapping. You can do some more with this. How about an animation with a cloudy sky background. This is what I did in the intro of my YouTube video. 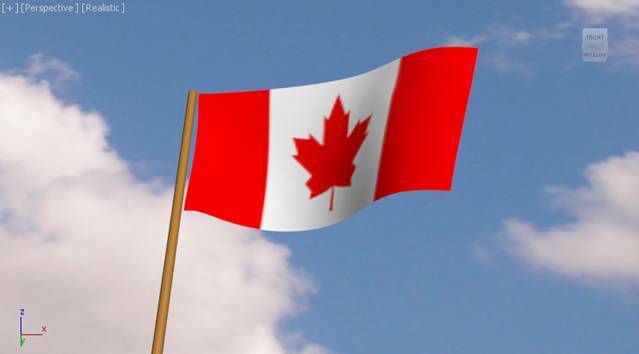 Just make a plane object behind the flag, and apply the bitmap. You can then just run the animation in the viewport, or export it to an AVI video file for a higher resolution render of the animation. To do this, output all frames to a AVI file when you render the animation. 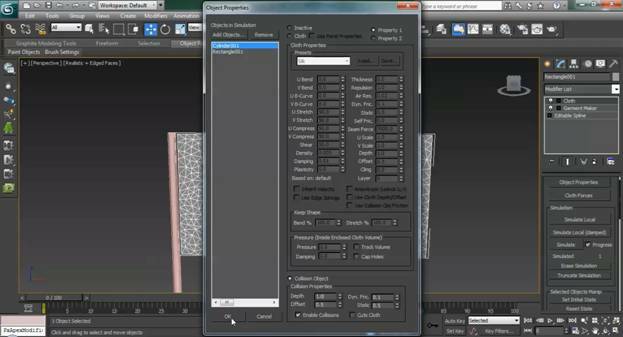 That is it for this 3ds Max Cloth and Garment modifiers tutorial. 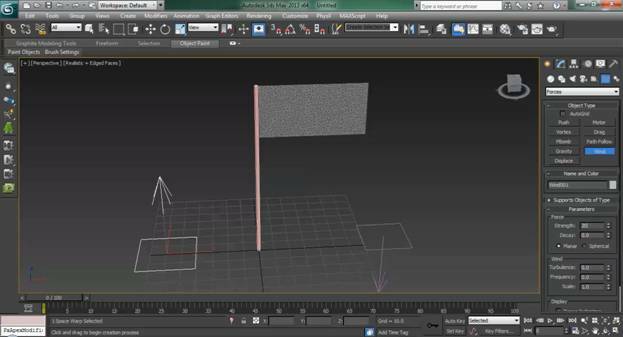 Try and add your favorite flag to the cloth and make adjustments to gravity and wind speed and direction.